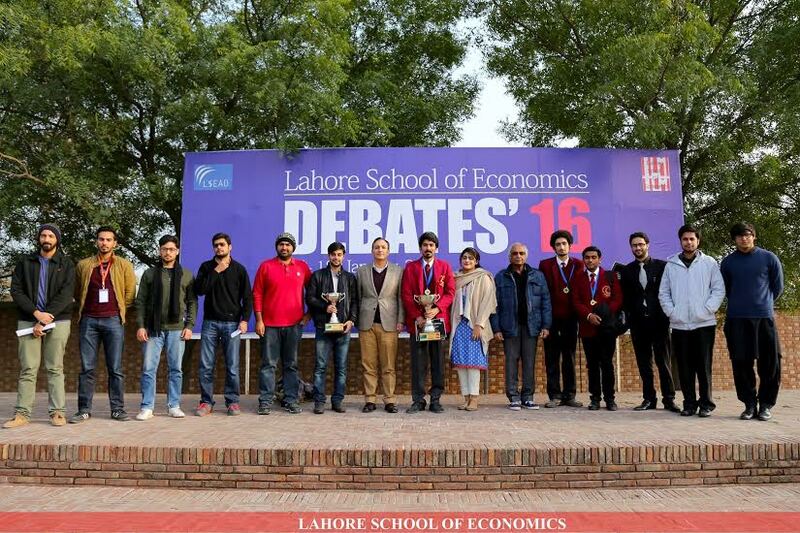 The flagship parliamentary debating competition of the Lahore School of Economics Association of Debaters, the Lahore School Debate, was held at the Lahore School from on January 16-18 2016. The 7th Annual Lahore School Debate followed the All-Asian Parliamentary Style of Debates, which employs the 3-on-3 debating format, with reply speeches. 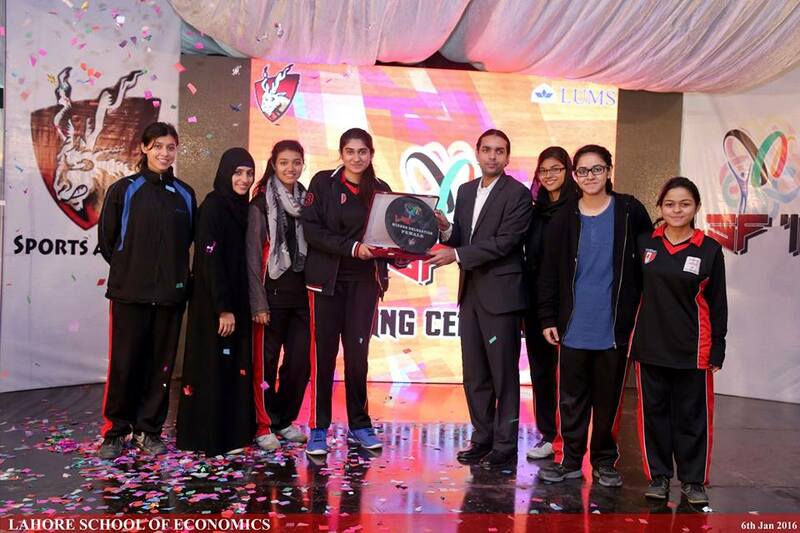 Teams from 60 schools and universities from across the country gathered at the Lahore School Burki campus to compete in categories of English and Urdu Parliamentary. The Lahore School Placement Office is organizing a series of test preparation session for the MBA II and Bachelors final year students. The purpose of these organisation entry session is to improve the mathematical and analytical skills of the students for the upcoming organizations entry tests. The sessions’ focused is on areas like Numerical Reasoning Tests, Diagrammatic Reasoning Tests, Time Management and Test Giving Techniques. 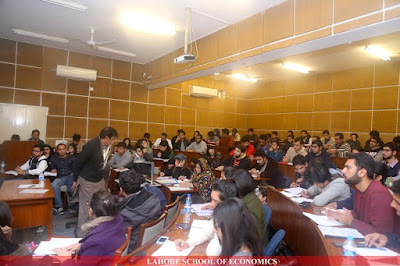 Lahore School Entrepreneurial and Business Society held a workshop on 21st January 2016 to "Highlight the achievements of Entrepreneurial and business Society over the past one year." 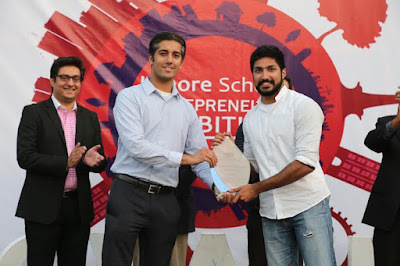 The patron (Prof F.A Fareedy) of the society along with the president (Hamza Tariq) made a presentation to engage the student body and discussed the major events of the society including Innovation Challenge and Entrepreneurs Exhibition. Erum Khan (Fashion Designer and Entrepreneur) visited the campus and delivered an interesting talk especially for the future women entrepreneurs of Lahore School. Erum Khan promotes exquisite tailoring skills combined with a street avant-garde. Her label Erum Khan (EK) is “timeless style and effortless femininity”, which have distinguished the brand in fashion industry. She creates formal, semi-formal, party and bridal wear. Three important success lessons that she taught were hard work, consistency and passion to follow the dreams. The workshop really benefited the student body who are interested in entrepreneurship and business particularly in women in fashion designing. 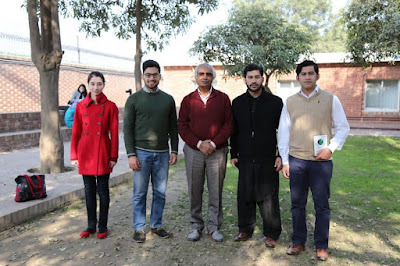 Lahore School News and broadcasting society participated in Journalism and Media competition held at LUMS, and were declared overall Winners of the 7th Annual CARMA. LSE Team won Voice Box, Shootout, Discover The Difference and were runners up in Print Pandemonium and Investigative Journalism. The Lahore School of Economics delegation of 10 students participated in the twelfth LUMS Model United Nations, better known as LUMUN. The conference was themed at bringing back a traditional perspective to the idea of deliberation, discussion and diplomacy. Three of Lahore School delegates managed to bag awards with others ranking highly in their respective committees. Syed Ahad Sethi ranked first in his committee of eighty-seven delegates and was awarded the Best Delegate Award. Fahad Waseem ranked seventh in his committee of eighty delegates and was given a special mention and Danyal Haider ranked third in his committee of thirty-five delegates and was awarded the Honorable Mention. Maryam Zahid and Raazia Kamal ranked fifth in their committee of twenty-two. The rest of the delegates put up great performances and were all commended by the judges and committee directors. The delegation consisted of individuals who were new to public speaking and the model united nations conference format and given this, put up a very respectable show. Productivity growth is the foundation for rising living standards and a country’s ability to compete in the world market. Productivity improves when producers’ seek to do better in terms of cost as well as quality of what they produce. And this entails tapping new technologies and finding innovative ways of producing and delivering to the consumer what is produced. And that is what entrepreneurship (in the Schumpeterian sense) is all about. Why productivity growth matters? Pakistan’s own experience in this respect. The average productivity growth has been clearly low, but the average might hide a wide diversity of experience. The question then arises why/how some firms in the same industry are able to perform better than others. Productivity growth depends on investment in more productive/efficient equipment, introduction of new production techniques, and human capital, all that an entrepreneur is supposed to do. Causes of failure of entrepreneurship: macroeconomic management; failure of competition; financial policy/sources of financing/institutions discourage long-term investments. Are there any social determinants of entrepreneurship? Technology/innovation – demand side: Do Pak firms actively seek out new ideas, new technologies, talent and adapt themselves to changing circumstance. Technology/innovation – supply side (imitation/innovation are practically indistinguishable): Domestic R&D to create knowledge; import of foreign technologies through FDI, subcontracting etc. Can entrepreneurship be deliberately stimulated through policy and institutions? Examples of Pakistani success stories: cases where firms have grown from a small size to becoming big. 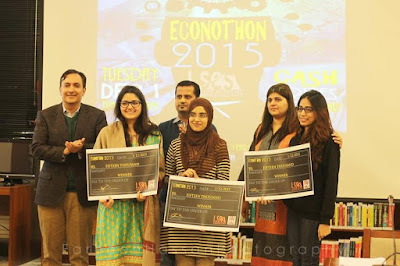 Lahore School Economics Society organized the first ever Economics Quiz Competition ‘Econothon’. The competition consisted of three rounds in which the teams were evaluated on the basic knowledge of economics. First round consisted of 37 teams out of which top 10 teams qualified for round 2. Top 5 teams from round 2 qualified for round 3. 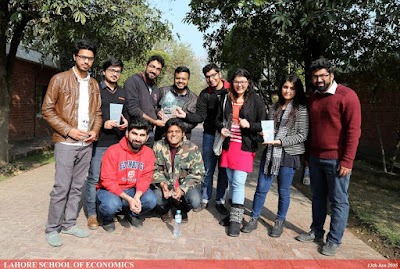 The society received an overwhelming response from the student body for organizing an interactive event that was different from the events organized in the past. 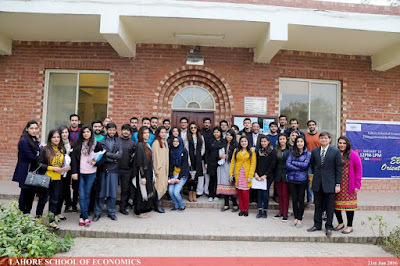 An entrepreneurial exhibition was organized by the Entrepreneurial and Business Society of Lahore School of Economics which entailed students displaying their innovative ideas in the competition. About 120 students presented their ideas in 60 cubicles set up for the event. This was the second exhibition for current year where graduating students of 2016 participated.